A few minutes after her speech, discussions exploded across the Internet. “Did she really just say that?” German-language twitter users asked incredulously, shortly followed by thousands of mocking attacks and ridiculous pictures. Her casual mention of ‘Neuland’ quickly ‘trended,’ becoming the most discussed subject in the German Twittersphere. One German language tweet read that “Little Angela would like to be picked up from #Neuland,” with others being prompted to locate the mythical place. A few users identified its existence as being near the northern city of Hamburg. Dieser Tag wird in die Geschichte eingehen. Deutschland, 19.06.2013: Merkel entdeckt #Neuland. One of the most striking comparisons is Merkel to the character Jen in the UK Comedy ‘The IT crowd’ who is so oblivious that her colleagues manage to trick her into believing that the Internet takes on the form of a small black box. 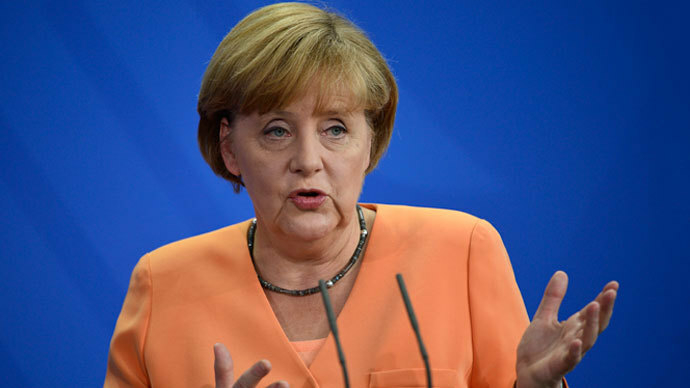 Many users frequently depicted Merkel staring suspiciously at the same small black box. The ‘Twitteratti’ didn’t seem to agree. “She has been sleeping well for 23 years,” one noted.